Join us on one of Hermanus’ most unique and interactive whale viewing experiences. Hermanus is the official whale capital of the world. Our passion has always been creating unique and interactive adventure experiences. And there is no better way than to combine adventure activities with the gentle giants of the ocean-whales!!! In fact this Hermanus Adventure includes some pretty epic activities from sea kayaking with the whales, snorkelling, fat biking on the beach, hiking on the beach and of course….some of the best land based and boat based whale watching in the world. Once upon a time, Hermanus was just a quaint little fishing town. Today it is the whale capital of the world!!!. The town is renowned as whale ‘hot spot’ for the Southern Right whales that are found in the bay from June to December. Hermanus is situated on 20m high cliffs-a perfect platform to observe the whales. In fact, we are going to say this is THE BEST PLACE ON THE PLANET to see whales. As for the town itself? There is a selection of relaxing bars, lovely restaurants and really good accommodation options to choose from. And of course, we have factored in a lot of ‘free time’ into our tour so that you can get a feel for the soul of Hermanus. In the months of September to October there can be as many as 200 Southern Right Whales in the bay!!!! And they can weigh over 60,000 kg. When is the whale Season? The first whales arrive from Antartica in June and leave again in November. Who leads the way on our whale based tours from Hermanus? Our tours are led by David de Beer. He has become synonymous with the Southern Right Whales of Hermanus. Over the past 10 years he has observed and photographed these gentle giants of the ocean. He is known for developing a creative niche as a caring and dedicated ‘whale ambassador’. He has an absolute passion and knowledge for whales. After spending a few days with Dave on our tour you will walk away with a truly memorable experience and a deep appreciation for the Southern Right Whales. 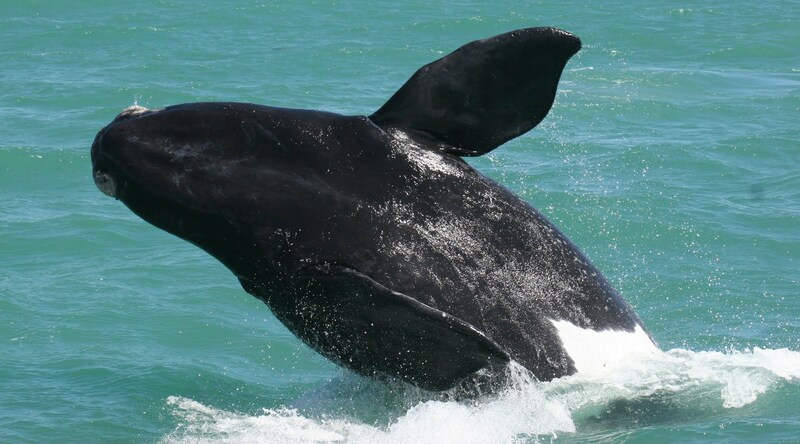 The Southern Right Whales are ‘surface’ or floating whales. This means they spend most of their time on the surface. Pretty cool for us whale watching enthusiasts-makes our jobs a lot easier as well. These massive creatures of the sea make the epic journey from Antartica every year without fail to Hermanus to mate and give birth. The bay is perfect as it pretty shallow and protected for the whales, allowing them the opportunity to just relax and prepare their young for the journey back to Antarctica. While in Hermanus, the whales will lose up to 40%of their body weight as they do not feed. They will feed again on plankton when they once again return to the plankton rich waters of Antartica. So this tour has been designed for the more adventurous type travellers. The tour includes both land based and ocean based whale viewing activities. The ocean based activities include sea kayaking, a boat excursion and some snorkelling. The land based tours include whale watching from the cliffs with Dave, fat biking on the beach, and an epic nature hike on the beach. So a nice active vacation if you are up for it. What boat do we use for the ocean based Whale Watching? We make use of a purpose built catamaran that includes a whale expert who narrates whale facts to you as well as a support crew for your comfort and safety. Snorkelling in the bay with the Shark Conservancy. 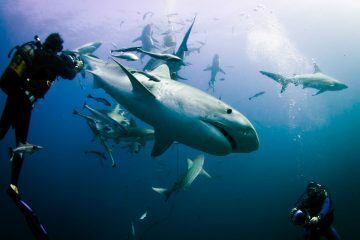 An epic adventure where you will be actively involved in the observation and research of the smaller shark species found in the area. Stress not!!! It is perfectly safe. Please note*** Although we have compiled the below tour itinerary, please be flexible. Tour times and activities may be moved around. The reason for this would be due to factors beyond our control that we need to work around.These factors include the tides, sea and weather conditions. Obviously if you have bad luck with the weather and some activities are cancelled we will refund you the cost of the activities. Our guide will pick you up from you hotel in Cape Town at 7am. We then take the 2 hour drive through to Hermanus arriving at 9am. Upon arrival, you will about an hour to relax with a cup coffee overlooking the bay. Hopefully you will get your first glimpse of the whales today. 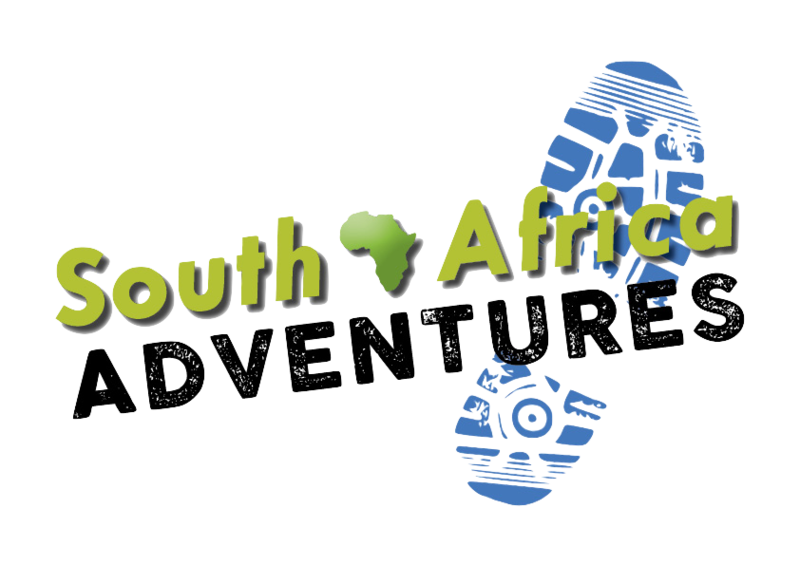 At 10am, we embark on the first adventure activity of the day-10km hike along the beach through the Walker Bay Nature Reserve. The drive from Hermanus takes about 20 minutes. 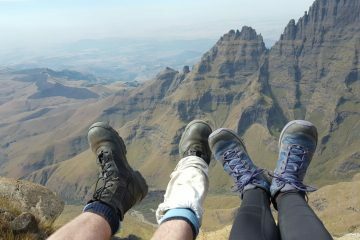 The duration of the hike is about 5 hours and includes a fantastic picnic lunch on the beach. How cool is at that? At 3pm we will drive you back to Hermanus and get you checked into your hotel for the next 2 nights. The rest of the day is all yours to relax. At 5pm, we will take you for a stroll to one of the cliffs to enjoy some wine and observe the whales that will be close by. Dave will spend some time chatting to you about the characters of the whales, where they come from and so forth. A perfect way to end the day!!!! Wine and whales!! We will then take you to enjoy a nice meal in one of the fine restaurants of Hermanus. Of course, our guide will be with you so he can recommend some really fine places. An early start to the day. Wake up at 5:30am and ready to go by 6am. Don’t worry…we will make sure the hot steaming coffee is waiting for you at the harbour before the captain grants you access to the boat. We understand the importance of coffee in the morning!!!. At we head out to sea. What a perfect start to the day. The sun will just be coming up and we will head into the bay of Hermanus to find the whales-Which is pretty much guaranteed. We will get pretty close to the whales and spend about 1.5 hours at sea observing them as they breach, mate and play all around the boat. 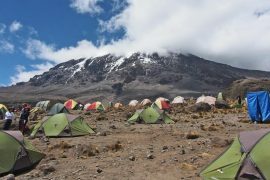 This experience is truly a humbling and awe-inspiring moment that will stay with you forever. We should be back in the harbour by 8:30am. We then take you back to your hotel for breakfast. You have about 1.5 hours free before our next activity-sea kayaking. At 11am we take the 10 min drive through to the Old Harbour for our 2 hour sea kayaking adventure. We will kit you up with life jackets and assign you a 2 man kayak. After a safety briefing with the tour leader we push the kayaks into the sea and head out. The whales are usually situated close to shore so we get up close and personal with them. By law we are not allowed within 300m of the whales. And dont worry about your safety with the whales. They are super chilled out. They rarely come too close to the boats. Our experienced tour leader has intimate knowledge of the whales and will ensure the route you take is the best and safest one. So yes….being a kayak there will be some effort needed. You will paddling for about 1.5 hours. And of course, if the sea conditions are too hectic, we will have to postpone the tour for a later time or even the next day. But all in all, when we do go out to sea, the conditions are pretty good and the paddling is not the intense. We should be back in the harbour by about 1pm. We then have 1.5 hours free to grab some lunch before our next activity-snorkelling in the old Harbour with the Shark Conservancy group. We spend the first half an hour in the lab situated in the harbour. The local shark scientist will show you the various shark species that they have under their observation and will take you though a presentation on these incredible ocean species. We then get you kitted up in a 7mm wetsuit with a hoody ( water can get pretty cold), gloves, booties, mask, snorkel and fins. You will then spend 1.5 hours snorkelling on the outskirts of the old harbour. You will not be going far out to sea and will stay pretty close to shore under the protection of the harbour and bay. So you don’t need to be an experienced sea dog to do this. And don’t worry about sharks!!! The shark species we will find are the smaller types like the pyjama and cat shark. There is also a few other aquatic species to be found like octopus, abalone, fish and kelp. All in all, a pretty unique experience. Out of the water with a hot cup of coffee by 4pm. Then its back to your hotel for a shower. The rest of the night is all yours to stroll around the town and enjoy dinner in one of the fine restaurants. Breakfast from 8am. 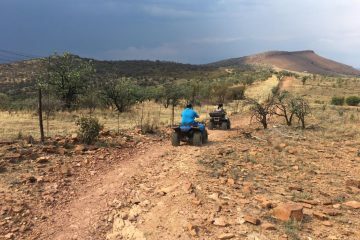 At 10am we will check out the hotel and take the 20 minute drive through to the Walker Bay nature reserve for the fat bike tour. What is a fat bike? It is basically a mountain bike with super fat and deflated tyres that allow riders to ride on soft sand like the beach. The tour leader will take you on a beach ride for about 1.5 hours showing you the many wonders of the area. Back at say 12pm. We then enjoy our final lunch from the cliffs of Hermanus before we take the 2 hour drive back to Cape Town. Back in your hotel by about 4pm.